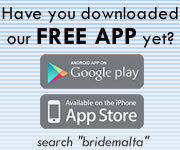 Eurosposa is the leading bridal shop in Malta where quality counts! We offer you the finest selection of wedding gowns and matching accessories from Europe's leading designers. Eurosposa is the sole agent for Pronovias, La Sposa, St Patrick, Atelier Diagonal and For You. These renowned top European Specialists offer new and unique collections every season. Our team of advisors will make sure that the veil and other accessories go perfectly well with your gown, face and figure. Eurosposa also stocks beautiful Holy Communion Dresses, imported directly from Spain and of excellent quality at the most affordable prices. What is 4 x 3? This page has been visited 8449 times.